Want it by Wednesday 24th April? Order within 10 hours, 56 minutes and choose Special Delivery 24 Hour Delivery (Signature Required) at checkout. An extra special wool coat with cashmere blend, the Balmedie Wool Coat from Barbour is a modern classic which will never date. The longer length and concealed front is classic and flattering design. 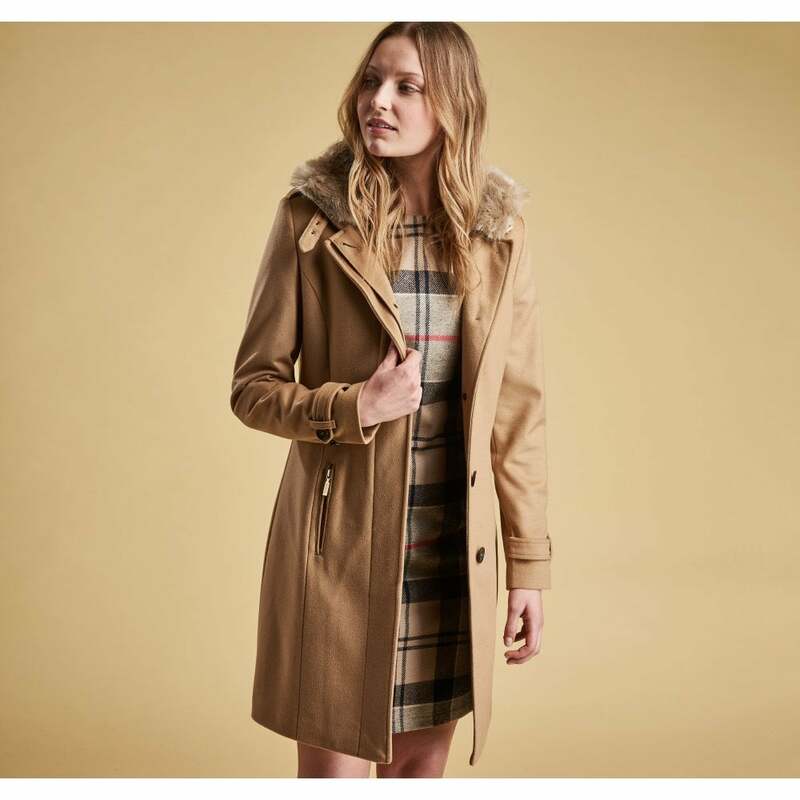 The exclusive Winter Tartan lining and fur collar adds a sense of country heritage to this chic camel coat.